Duties: Drama teaching for grades 6, 8, and 9. Assistant English Teaching for grades 5 – 9. 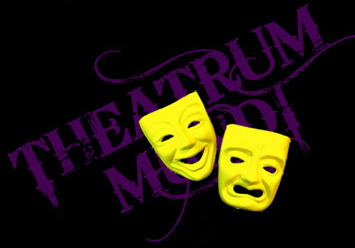 Duties: Drama teaching for students aged 8 – 11, directing school play. Duties: Design and implement drama program, K – 6, involving musical theatre, video drama, and other performance activities. Duties: Plan and implement theatre workshops for francophone ESL students. Duties: Plan and implement workshops for theatre activists and students. Prepared for Toronto, Ottawa, and Alberta Social Forums; also given in Montreal, Calgary, New Orleans, and NYC. Workshops also created for McGill University & U of Guelph. Duties: Running musical theatre program, ages 3 – 14. Duties: Lesson planning & collective creation for students, aged 10 - 14. Duties: Plan & implement lessons for teenage students, aged 10 - 18. Duties: Provide Drama element to Maori Performing Arts Week. Duties: Design and implement Actor training program, coordinate day to day running of Entertainment department. Duties: Plan & implement lessons & directing musicals for children aged 5 - 15. Duties: Workshops & weekly lessons for children (4 - 12) & teenagers (13 - 17). Duties: Organise Crisis Intervention scenarios for Police students using live actors. Duties: Plan & implement Puppetteering course. Duties: Plan, teach, & analyse lessons for ages 9 - 12. Focus: Role-playing. Duties: Plan & implement summer curriculum for children aged 3 - 14. Duties: Plan lessons & substitute teach for teenage students. Duties: Plan, teach, and analyse lessons for ages 13 - 15. Focus: Teaching strategies & techniques.